Four reeds in this sampler, available in a variety of strengths. Each sample pack contains one of each: Java Green, Java Red, ZZ and Traditional. 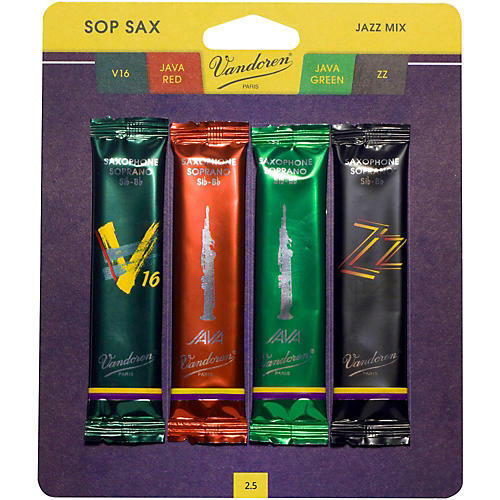 An ideal solution for players who aren't sure which jazz reed is best for them. Find out your preference without buying a series of entire boxes.